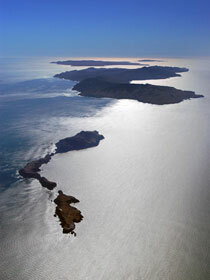 There are eight islands located off the coast of southern California, which comprise California’s Channel Islands. They are divided into two separate groups: the Northern Channel Islands: San Miguel, Santa Rosa, Santa Cruz and Anacapa Islands, and the Southern California Islands: Santa Catalina, Santa Barbara, San Nicolas and San Clemente islands. 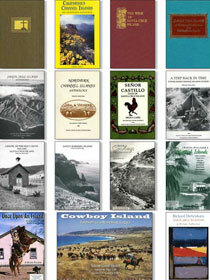 The Santa Cruz Island Foundation has been publishing books about the California Channel Islands since 1987. Ten volumes comprise the complete Occasional Papers series. Although many of the titles are now out of print, some have been reprinted, and limited numbers of copies of others remain available. Our newest publication, The California Channel Islands, offers a detailed history of each island presented through captioned photographs. ISLAPEDIA is a comprehensive California Channel Islands encyclopedia covering hundreds of topics and thousands of entries on all eight California Channel Islands. It includes people, place names, ships and shipwrecks, island events and noteworthy topics. It was begun in 1973 by cultural anthropologist, Marla Daily, President of the Santa Cruz Island Foundation (1987-current). Islapedia is a continuing research work in progress—now in its 40th year. Santa Cruz Island Foundation is a nonprofit, tax-exempt charitable organization under section 501 (c)(3) of the Internal Revenue Code. Donations are tax-deductible as allowed by law.